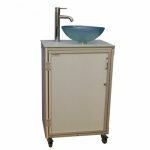 Portable Shampoo Bowl | Medical Sink- Portable Eye Wash Station | Monsam Enterprises, Inc.
Our extensive line of health and beauty sinks are designed to bring the flexibility of hand or hair washing to any space. 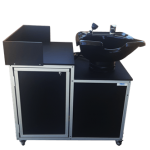 These units are ideal for hairdressers, estheticians and medical professionals. They can easily be customized and accessorized to match the décor of your salon, spa or office. 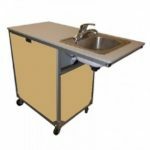 At Monsam Enterprises, we are very proud of our portable sink units that are geared toward business owners. 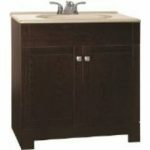 These sinks are ideal for homes, barber shops, beauty salons and health care facilities. They are all on durable, swivel casters that allow for easy mobility. 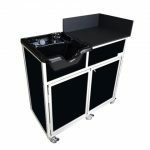 We also manufacture a Portable Eye and Face Washing Station that is well suited to construction sites, manufacturing facilities, hospitals and laboratories.